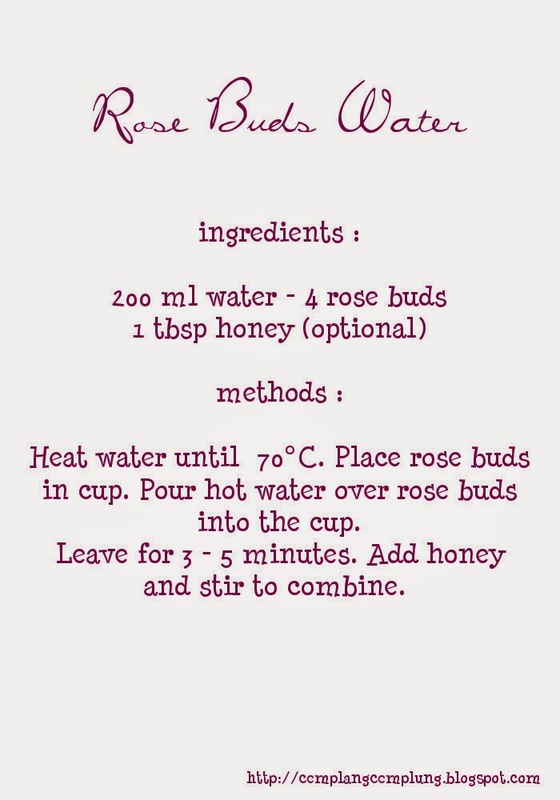 I really enjoy my time every weekend making myself a cup of rose buds water. It's a fragrant simple drink, enjoy it sip by sip while watching TV. It gives me a feeling of calmness, relaxation and soothing to my body. Especially on rainy days like these days. Rain accompanied by strong winds almost every day. Puddles throughout the city make the inevitable traffic jams everywhere ! One word to describe it, STRESSFUL !! Along in this post I'd like to send my prayers, heartfelt sympathy and deepest condolences to the victims of Super-typhoon Haiyan in Philippines. It's such a painful to watch that death tolls have been steadily increasing since day one of the disaster. Do something small to help others. I'm sure no matter how small it is, you take part to make a difference in the lives of others and yours as well. 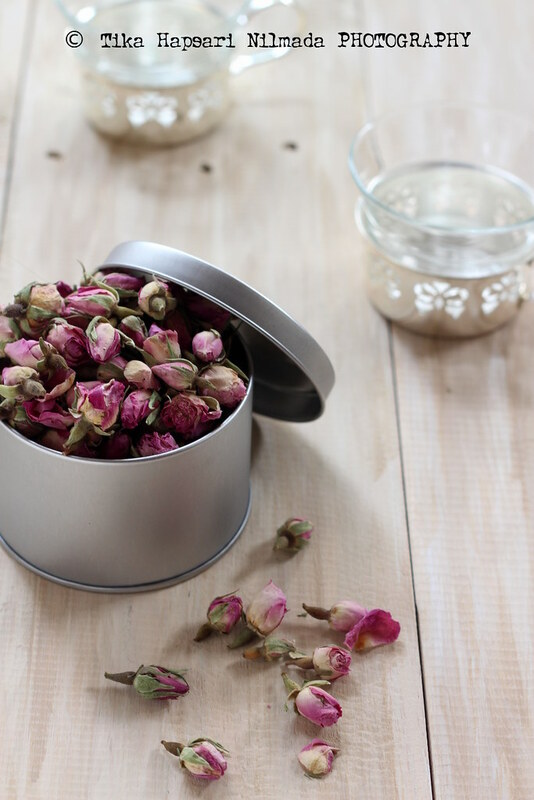 The benefits of rose water for woman are if you drink rose water before menstrual period can help to reduce menstrual pain and also to regulate menstrual cycle. Rose water enhances your moods, helps relieve nervous tension and improves skin texture. I won't say this one is rose buds tea. I'd rather say it's rose buds water because I don't use tea leaves in here. But then of course you can make rose flavoured tea with a little bit of honey. 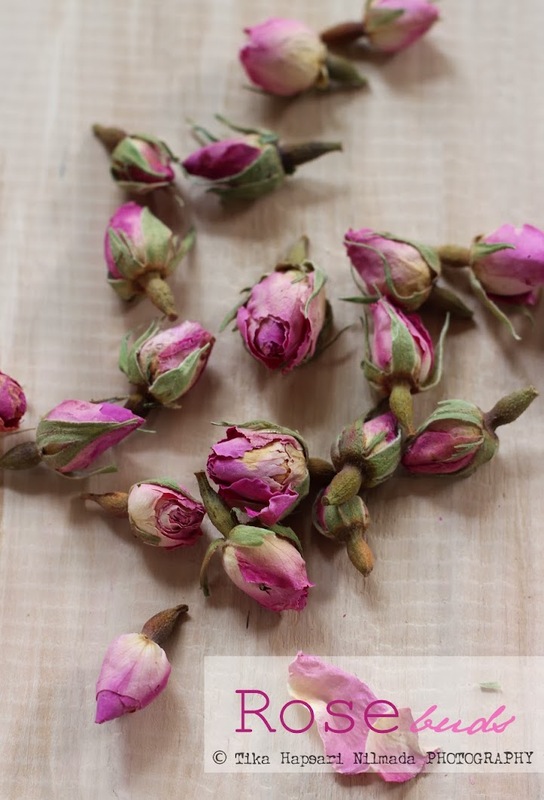 Whatever your choice is, rose flavour in your drink adds a truly nature beautiful scent. Thanks Ummi Aisyah. Bunga Chrysantemum juga ada, tapi saya penasaran dengan rose buds ini. Oh! This sounds very calming and refreshing. I love the aroma of rose, so I know I would absolutely love it, Tika. Hope you are having a great week. Punya efek meredakan PMS nggak? 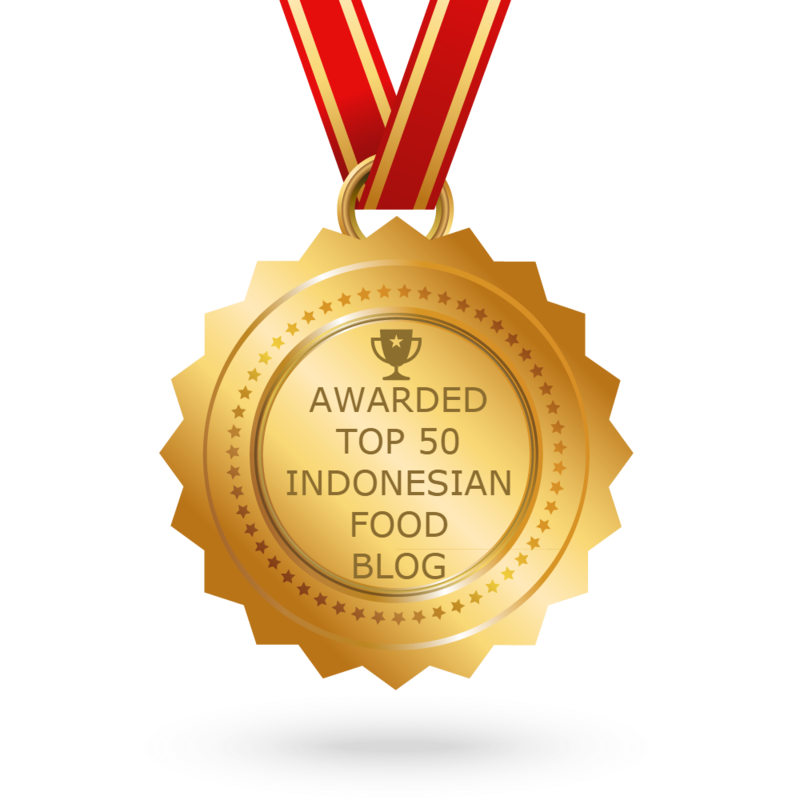 Kalo bisa will definielt buy one for my wife :P. Anyway great pictures! Thanks for stopping by and taking time to leave comment on my post. I will respond as soon as I can.